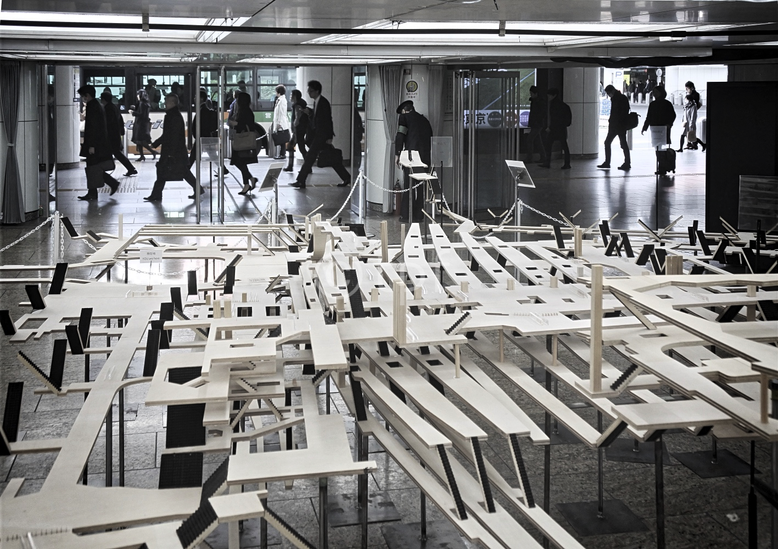 A huge world of commuters, youth, shoppers, entertainment, bars, skyscrapers, hotels, offices. 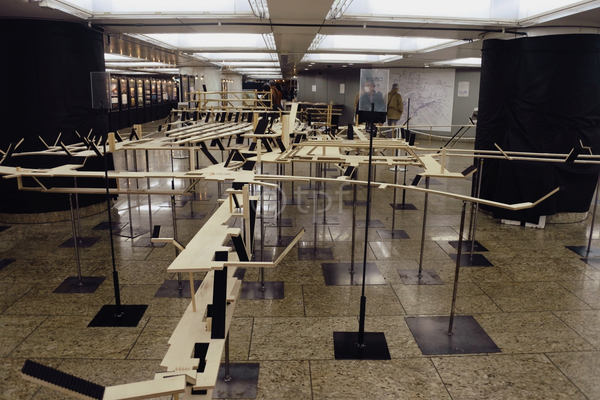 Above-besides-below underground intersections. 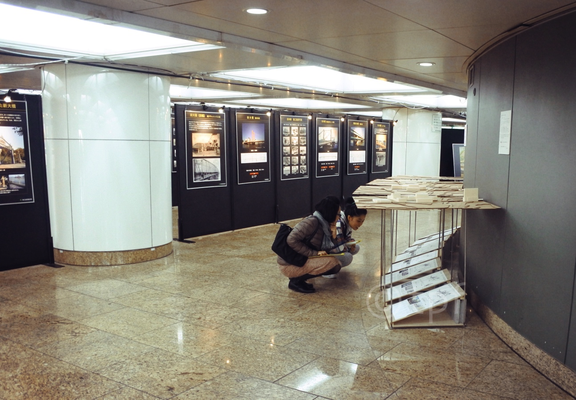 And most of all a fashionable, historical meeting point: Shinjuku Underground Sakakura Junzo Plaza. 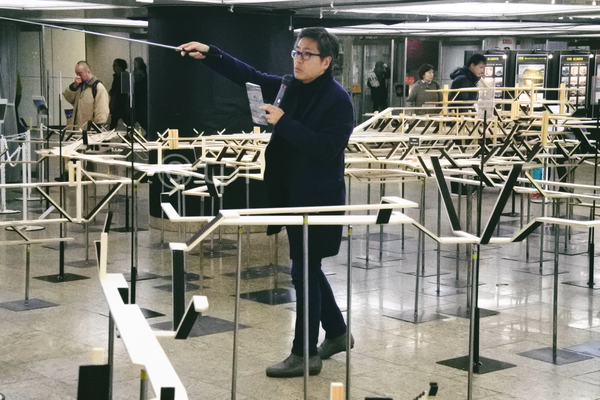 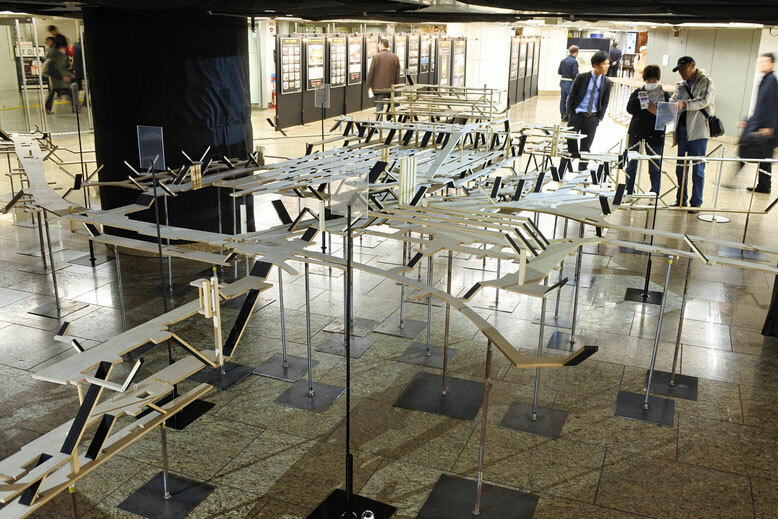 Here we were with this huge Shinjuku Station complete version model, the ultimate essence of the 2017. 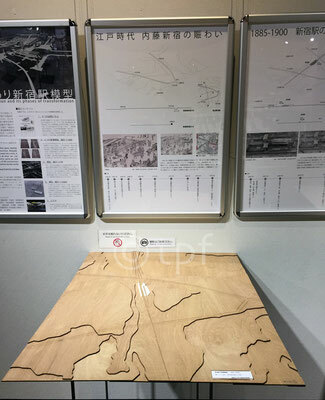 Model of whole Shinjuku Station 1:100 scale: study of the space underground and above the ground. 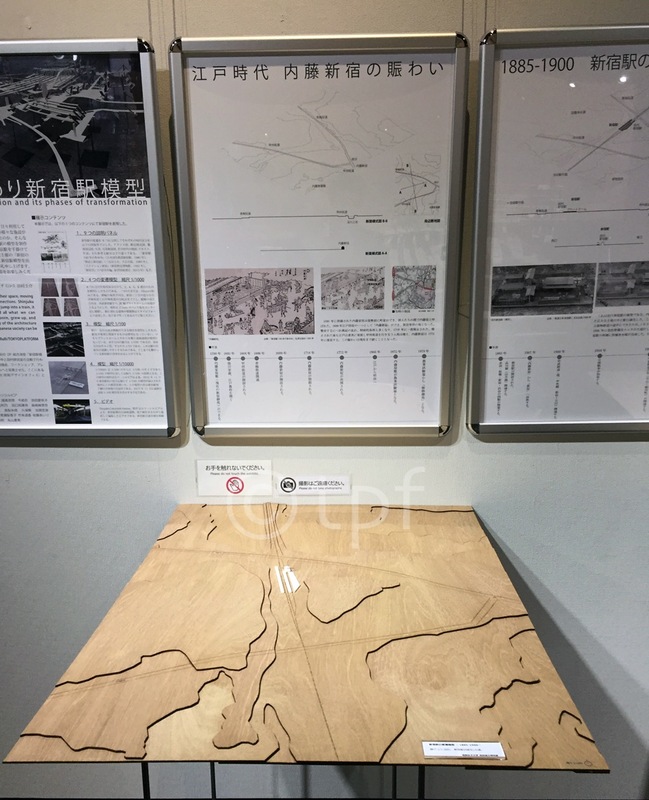 Complete version. Nishi Shinjuku is a business area created by the city project plan after the war and named "Shinjuku sub-city planning". 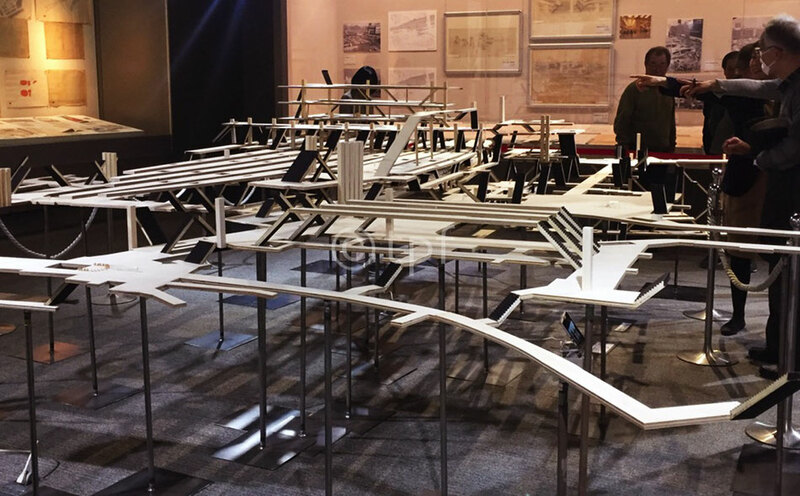 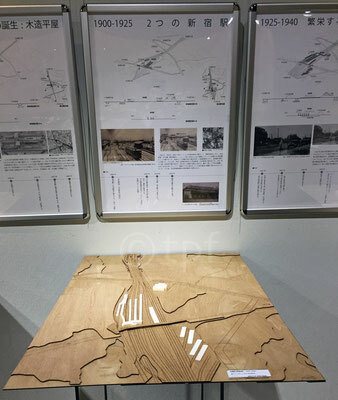 This exhibition aims to realise a "Nishi-Shinjuku building chronicle, which can be experienced visually and three-dimensionally" through valuable images, which record the construction process of skyscrapers at each step. 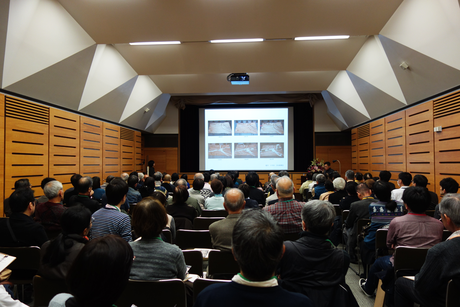 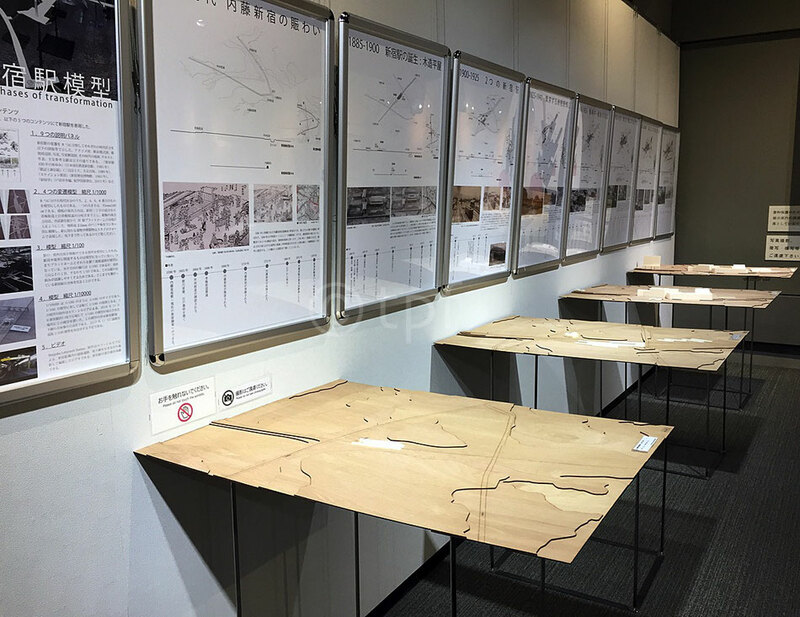 Following the history of the city, we can find the magnificent works of architects, who challenged skyscrapers in Japan, one of the most seismic countries. 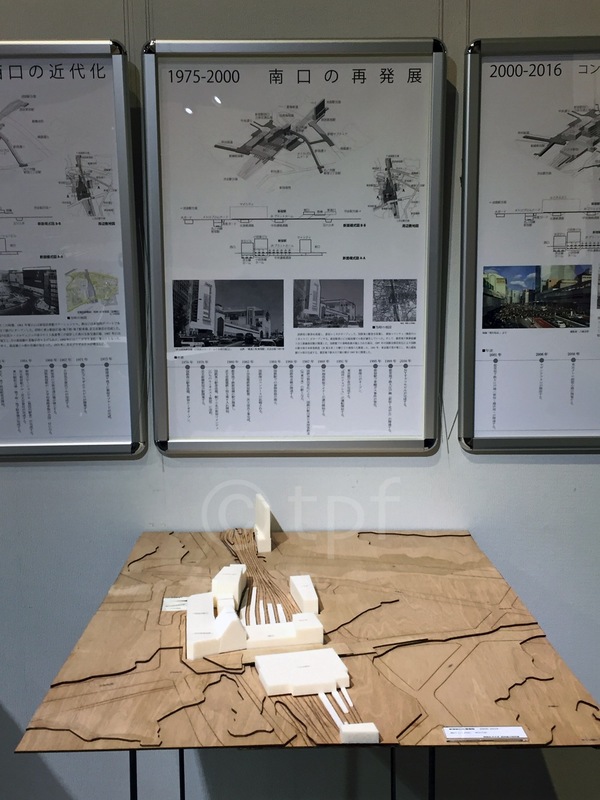 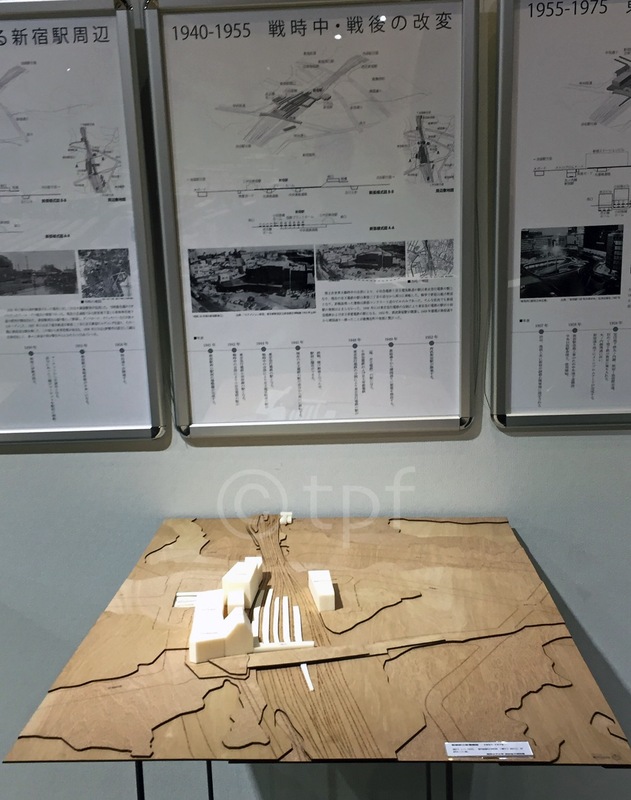 Our little contribution to the Exhibition with the research on "Shinjuku Station and its phases of transformation". 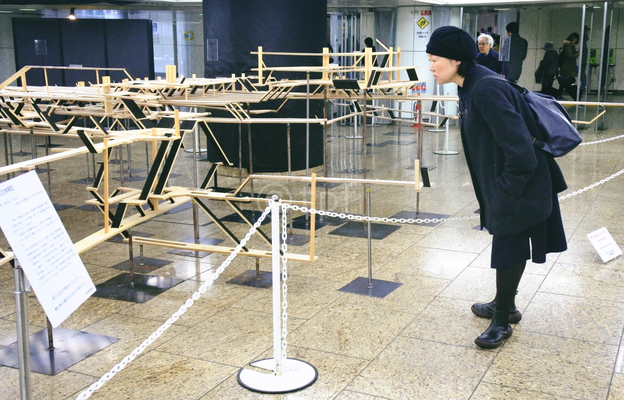 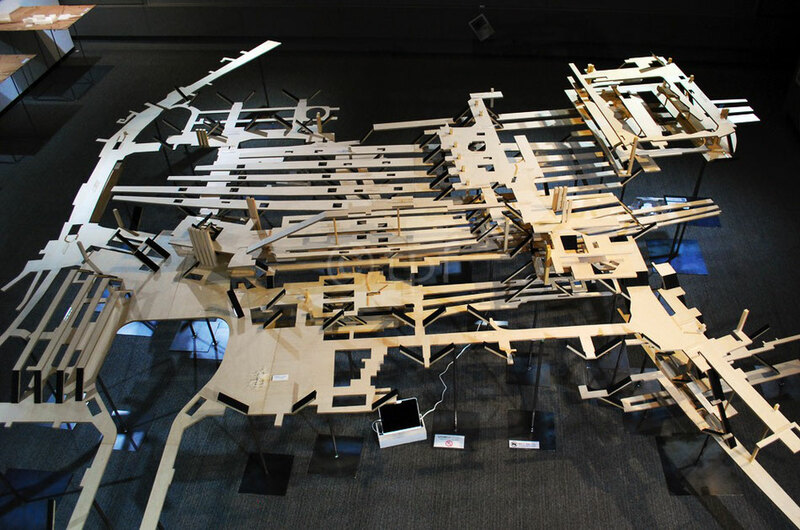 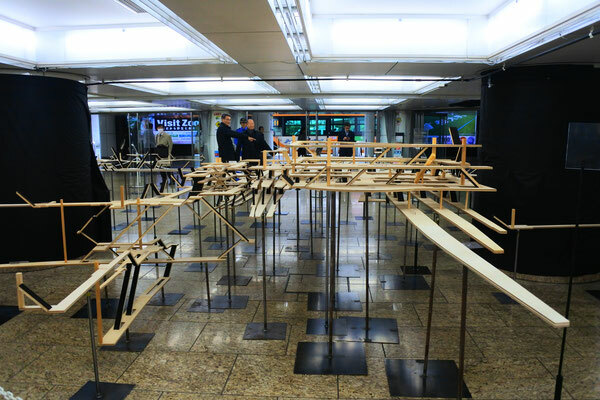 The big wooden model of Shinjuku Station 1:100 scale. Phases of transformation of Shinjuku Station from 1885 to 2017. 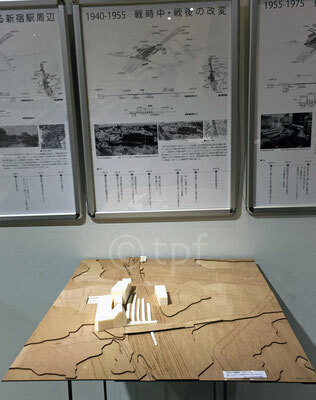 Models of the site 1:1000 scale.